dhivya prabandham – upadhEsa raththina mAlai – pAsuram 4 – http://divyaprabandham.koyil.org/index.php/2015/12/upadhesa-raththina-malai-4/ – English translation by raghurAm swamy. Full series at http://divyaprabandham.koyil.org/index.php/2015/11/upadhesa-raththina-malai/ . upadhEsa raththina mAlai – pAsuram 3 – http://divyaprabandham.koyil.org/index.php/2015/12/upadhesa-raththina-malai-3/ – English translation by raghurAm swamy. Full series at http://divyaprabandham.koyil.org/index.php/2015/11/upadhesa-raththina-malai/ . chathu: SlOkI – concluding section at http://divyaprabandham.koyil.org/index.php/2015/12/chathu-sloki-conclusion/ – English translation by vangIpuram satakOpan swamy based on http://divyaprabandham.koyil.org/index.php/2015/12/chathu-sloki-tamil-conclusion/ by nyAya vidhvAn dhAmal vangIpuram pArthasArathy aiyengAr . Full series can be seen at http://divyaprabandham.koyil.org/index.php/2015/12/chathu-sloki/ and http://divyaprabandham.koyil.org/index.php/2015/12/chathu-sloki-tamil/ . SaraNAgathi gadhyam – 2nd to 4th chUrNais – http://divyaprabandham.koyil.org/index.php/2015/12/saranagathi-gadhyam-2-to-4/ – English translation by T N krishNan swamy. Full series at http://divyaprabandham.koyil.org/index.php/2015/11/saranagathi-gadhyam/ . granthams – anthimOpAya nishtai – e-book republished (with full list of pramANa slOkams) – link available at http://ponnadi.blogspot.in/p/anthimopaya-nishtai.html. gIthArtha sangraham – Section 4 – http://githa.koyil.org/index.php/githartha-sangraham-4/ . Full series can be viewed at http://githa.koyil.org/index.php/githartha-sangraham/ . dhivya prabandham – chathu: SlOkI – simple meaning of slOkams at http://divyaprabandham.koyil.org/index.php/2015/12/chathu-sloki-slokams/ – English translation by vangIpuram satakOpan swamy based on http://divyaprabandham.koyil.org/index.php/2015/12/chathu-sloki-tamil-slokams/ by nyAya vidhvAn dhAmal vangIpuram pArthasArathy aiyengAr . Full series can be seen at http://divyaprabandham.koyil.org/index.php/2015/12/chathu-sloki/ and http://divyaprabandham.koyil.org/index.php/2015/12/chathu-sloki-tamil/ . Comprehensive lookup tool for dhivya dhEsam/prabandham – created by mayUravalli ammangAr and santhAnam swamy – http://koyil.org/index.php/lookup-tool/ . srI rAmAnuja dharsanam – e-magazine – December/kArthikai – English Issue recently released and can be viewed at http://www.varavaramuni.com/home/sriramanuja-dharsanam-magazine/english . upadhEsa raththina mAlai – pAsuram 2 – http://divyaprabandham.koyil.org/index.php/2015/12/upadhesa-raththina-malai-2/ – English translation by raghurAm swamy. Full series at http://divyaprabandham.koyil.org/index.php/2015/11/upadhesa-raththina-malai/ . chathu: SlOkI – Commencement of English translation by vangIpuram satakOpan swamy – http://divyaprabandham.koyil.org/index.php/2015/12/chathu-sloki/ based on simple explanation in thamizh by nyAya vidhvAn dhAmal vangIpuram pArthasArathy aiyengAr swamy http://divyaprabandham.koyil.org/index.php/2015/12/chathu-sloki-tamil/ . thaniyan translation can be viewed at http://divyaprabandham.koyil.org/index.php/2015/12/chathu-sloki-thaniyan/ based on http://divyaprabandham.koyil.org/index.php/2015/12/chathu-sloki-tamil-thaniyan/ . Audio rendering of this prabandham can be listened at http://divyaprabandham.koyil.org/index.php/2015/12/chathu-sloki-audio/ . gIthArtha sangraham – Section 3 – http://githa.koyil.org/index.php/githartha-sangraham-3/ . Full series can be viewed at http://githa.koyil.org/index.php/githartha-sangraham/ . dhivya prabandham – upadhEsa raththina mAlai – pAsuram 1 – http://divyaprabandham.koyil.org/index.php/2015/11/upadhesa-raththina-malai-1/ – English translation by raghurAm swamy. Full series at http://divyaprabandham.koyil.org/index.php/2015/11/upadhesa-raththina-malai/ . This entry was posted in Uncategorized on November 30, 2015 by Sarathy Thothathri. gIthArtha sangraham – Section 2 – http://githa.koyil.org/index.php/githartha-sangraham-2/ . Full series can be viewed at http://githa.koyil.org/index.php/githartha-sangraham/ . dhivya prabandham – upadhEsa raththina mAlai – avathArikai (introduction) – http://divyaprabandham.koyil.org/index.php/2015/11/upadhesa-raththina-malai-introduction/ – English translation by raghurAm swamy. Full series at http://divyaprabandham.koyil.org/index.php/2015/11/upadhesa-raththina-malai/ . upadhEsa raththina mAlai – thaniyan – http://divyaprabandham.koyil.org/index.php/2015/11/upadhesa-raththina-malai-thaniyan/ – English translation by raghurAm swamy. Full series at http://divyaprabandham.koyil.org/index.php/2015/11/upadhesa-raththina-malai/ . SaraNAgathi gadhyam – 1st chUrNai – http://divyaprabandham.koyil.org/index.php/2015/11/saranagathi-gadhyam-1/ – English translation by T N krishNan swamy. Full series at http://divyaprabandham.koyil.org/index.php/2015/11/saranagathi-gadhyam/ . This entry was posted in Uncategorized on November 28, 2015 by Sarathy Thothathri. gIthArtha sangraham – Section 1 – http://githa.koyil.org/index.php/githartha-sangraham-1/ . Full series can be viewed at http://githa.koyil.org/index.php/githartha-sangraham/ . dhivya prabandham – Commencement of English translation for upadhEsa raththina mAlai by raghurAm swamy – http://divyaprabandham.koyil.org/index.php/2015/11/upadhesa-raththina-malai/ . SaraNAgathi gadhyam – pravESam (introduction) – http://divyaprabandham.koyil.org/index.php/2015/11/saranagathi-gadhyam-introduction/ – English translation by T N krishNan swamy. Full series at http://divyaprabandham.koyil.org/index.php/2015/11/saranagathi-gadhyam/ . New Mobile App – Know our AchAryas can be downloaded from http://pillai.koyil.org/index.php/mobile-apps/ . Thanks to aruNkumAr swamy for preparing the same. anadhyayana kAlam begins today. For detailed information about the same and what to recite during this time, please visit http://ponnadi.blogspot.in/2013/11/anadhyayana-kalam-and-adhyayana-uthsavam.html (in English). The same is available in thamizh at http://srivaishnavagranthamstamil.wordpress.com/2013/12/02/anadhyayana-kalam-and-adhyayana-uthsavam/ and in hindi at http://srivaishnavagranthamshindi.wordpress.com/2013/11/29/anadhyayana-kalam-adhyayana-uthsav/ . 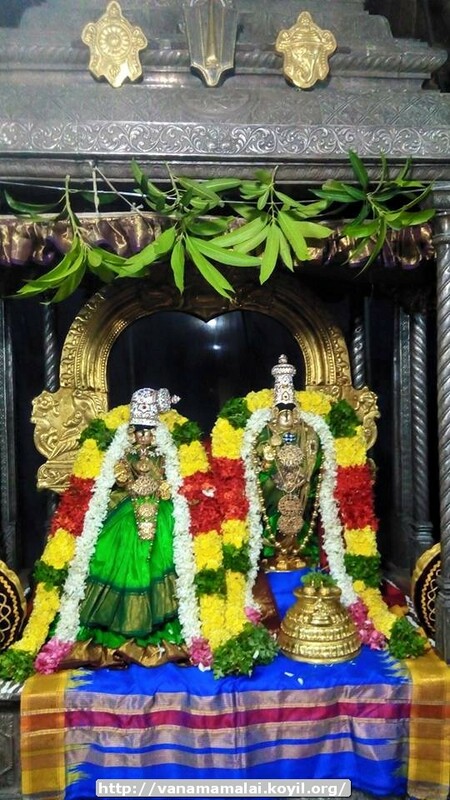 SaraNAgathi gadhyam – thaniyans – http://divyaprabandham.koyil.org/index.php/2015/11/saranagathi-gadyam-thaniyans/ – English translation by T N krishNan swamy. Full series at http://divyaprabandham.koyil.org/index.php/2015/11/saranagathi-gadhyam/ . 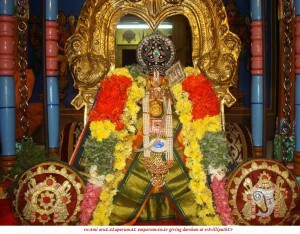 gIthArtha sangraham – Commencement of English translation on this auspicious rOhiNi day – http://githa.koyil.org/index.php/githartha-sangraham/ . SaraNAgathi gadhyam – Commencement of English translation by T N krishNan swamy – http://divyaprabandham.koyil.org/index.php/2015/11/saranagathi-gadhyam/. dhivya prabandham – rAmAnusa nURRanthAdhi pAsuram 17 – http://divyaprabandham.koyil.org/index.php/2015/11/ramanusa-nurranthadhi-17/ – English translation by raghurAm swamy. Full series can be viewed at http://divyaprabandham.koyil.org/index.php/2015/07/ramanusa-nurranthadhi/ . Incidentally, this pAsuram speaks about thirumangai AzhwAr’s glories and we are happy to present this on his auspicious thirunakshathram day. We will take a short break for anadhyayana kAlam and will resume rAmAnusa nURRanthAdhi translation after completion of adhyayana uthsavam. srI rAmAnuja dharsanam – e-magazine – October/purattAsi – Hindi Issue recently released and can be viewed at http://www.varavaramuni.com/home/sriramanuja-dharsanam-magazine/hindi . chapter 1 verse 2 – http://githa.koyil.org/index.php/1-2/ (Simple) based on http://githa.koyil.org/index.php/1-2-original/ (Original) – simplified by srIvEnkatEsan swamy. chapter 1 verse 3 – http://githa.koyil.org/index.php/1-3/ (Simple) based on http://githa.koyil.org/index.php/1-3-original/ (Original) – simplified by srIvEnkatEsan swamy. dhivya prabandham – thiruvAimozhi 2.1.11 – sOrAtha epporutkum – http://divyaprabandham.koyil.org/index.php/2015/11/thiruvaimozhi-2-1-11-soratha-epporutkum/ . Full series can be viewed at http://divyaprabandham.koyil.org/index.php/thiruvaimozhi/ . With this second centum first decad is completed. We will take a short break for anadhyayana kAlam and will resume thiruvAimozhi translation after completion of adhyayana uthsavam. 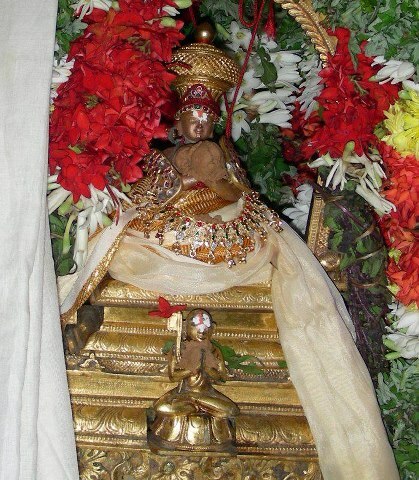 thiruvAimozhi 2.1.10 – vEvArA vEtkainOy – http://divyaprabandham.koyil.org/index.php/2015/11/thiruvaimozhi-2-1-10-vevara-vetkainoy/ . Full series can be viewed at http://divyaprabandham.koyil.org/index.php/thiruvaimozhi/ . kaNNinuN chiRuth thAmbu pAsuram 11 – http://divyaprabandham.koyil.org/index.php/2015/11/kanninun-chiru-thambu-telugu-11/ based http://divyaprabandham.koyil.org/index.php/2015/02/kanninun-chiruth-thambu-11-anban-thannai/ – telugu translation by chUdAmaNi ammangar and published by shashidhar swamy. Full series at http://divyaprabandham.koyil.org/index.php/2015/06/kanninun-chiru-thambu-telugu/ . With this telugu translation for kaNNinuN chiRuth thAmbu is completed. kaNNinuN chiRuth thAmbu pAsuram 10 – http://divyaprabandham.koyil.org/index.php/2015/11/kanninun-chiru-thambu-telugu-10/ based on http://divyaprabandham.koyil.org/index.php/2015/02/kanninun-chiruth-thambu-10-payan-anragilum/ – telugu translation by chUdAmaNi ammangar and published by shashidhar swamy. Full series at http://divyaprabandham.koyil.org/index.php/2015/06/kanninun-chiru-thambu-telugu/ . This entry was posted in Uncategorized on November 21, 2015 by Sarathy Thothathri. virOdhi parihArangaL part 5 – https://srivaishnavagranthamshindi.wordpress.com/2015/11/20/virodhi-pariharangal-5/ based on http://ponnadi.blogspot.in/2013/12/virodhi-pariharangal-5.html – hindi translation by kEshav swamy. Full series can be viewed at https://srivaishnavagranthamshindi.wordpress.com/virodhi-pariharangal/ . 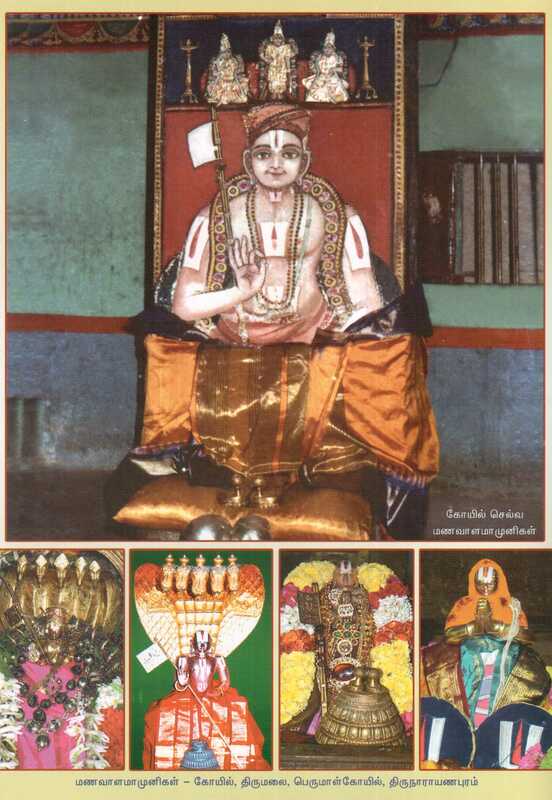 thiruppallANdu – English – e-book link (http://1drv.ms/1I0uyLg) available at http://divyaprabandham.koyil.org/index.php/2015/06/thiruppallandu/ and http://divyaprabandham.koyil.org/index.php/e-books/ . Thanks to parAsaran (pradeep) swamy for preparing the e-book. thiruvAimozhi 2.1.9 – nonthArAk kAthalnOy – http://divyaprabandham.koyil.org/index.php/2015/11/thiruvaimozhi-2-1-9-nontharak-kathalnoy/ . Full series can be viewed at http://divyaprabandham.koyil.org/index.php/thiruvaimozhi/ . thiruvezhukURRirukkai – Section 13 – http://divyaprabandham.koyil.org/index.php/2015/11/thiruvezhukurrirukkai-telugu-13/ based on http://divyaprabandham.koyil.org/index.php/2015/07/thiruvezhukurrirukkai-13/ – telugu translation by chUdAmaNi ammangar, published by shashidhar swamy. Full series at http://divyaprabandham.koyil.org/index.php/2015/10/thiruvezhukurrirukkai-telugu/ . With this, thiruvezhukURRirukkai telugu translation is completed. virOdhi parihArangaL part 4 – https://srivaishnavagranthamshindi.wordpress.com/2015/11/19/virodhi-pariharangal-4/ based on http://ponnadi.blogspot.in/2013/12/virodhi-pariharangal-4.html – hindi translation by kEshav swamy. Full series can be viewed at https://srivaishnavagranthamshindi.wordpress.com/virodhi-pariharangal/ . iyal sARRumuRai (recited usually during main uthsavams – collection of pAsurams written by various authors and compiled by mAmunigaL) – vyAkyAnam by piLLai lOkam jIyar (thamizh) – https://drive.google.com/file/d/0ByVemcKfGLucZ3lBcGxjMXY1Uk0/view?usp=sharing – Thanks to vEnkatapathy swamy for providing this valuable grantham through sundararAman swamy. 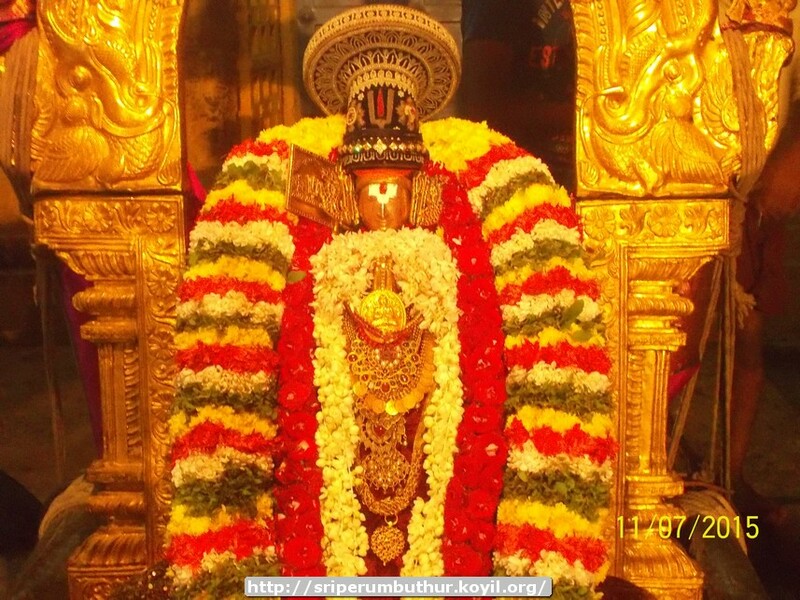 thiruvAimozhi 2.1.8 – iruLin thiNivaNNam – http://divyaprabandham.koyil.org/index.php/2015/11/thiruvaimozhi-2-1-8-irulin-thinivannam/ . Full series can be viewed at http://divyaprabandham.koyil.org/index.php/thiruvaimozhi/ . thiruvezhukURRirukkai – Section 12 – http://divyaprabandham.koyil.org/index.php/2015/11/thiruvezhukurrirukkai-telugu-12/ based on http://divyaprabandham.koyil.org/index.php/2015/07/thiruvezhukurrirukkai-12/ – telugu translation by chUdAmaNi ammangar, published by shashidhar swamy. Full series at http://divyaprabandham.koyil.org/index.php/2015/10/thiruvezhukurrirukkai-telugu/ . thiruvAimozhi 2.1.7 – thORROm madanenjam – http://divyaprabandham.koyil.org/index.php/2015/11/thiruvaimozhi-2-1-7-thorrom-madanenjam/ . Full series can be viewed at http://divyaprabandham.koyil.org/index.php/thiruvaimozhi/ . thiruvezhukURRirukkai – Section 11 – http://divyaprabandham.koyil.org/index.php/2015/11/thiruvezhukurrirukkai-telugu-11/ based on http://divyaprabandham.koyil.org/index.php/2015/07/thiruvezhukurrirukkai-11/ – telugu translation by chUdAmaNi ammangar, published by shashidhar swamy. Full series at http://divyaprabandham.koyil.org/index.php/2015/10/thiruvezhukurrirukkai-telugu/ . thiruvAimozhi 2.1.6 – naivAya emmEpOl- http://divyaprabandham.koyil.org/index.php/2015/11/thiruvaimozhi-2-1-6-naivaya-emmepol/ . Full series can be viewed at http://divyaprabandham.koyil.org/index.php/thiruvaimozhi/ . thiruvezhukURRirukkai – Section 10 – http://divyaprabandham.koyil.org/index.php/2015/11/thiruvezhukurrirukkai-telugu-10/ based on http://divyaprabandham.koyil.org/index.php/2015/07/thiruvezhukurrirukkai-10/ – telugu translation by chUdAmaNi ammangar, published by shashidhar swamy. Full series at http://divyaprabandham.koyil.org/index.php/2015/10/thiruvezhukurrirukkai-telugu/ . – new article by bhagavathi ammangar based on http://ponnadi.blogspot.in/2013/11/aippasi-anubhavam-pillai-lokacharyar-srivachana-bhushanam-thanians.html . Full series can be seen at https://srivaishnavagranthamshindi.wordpress.com/thula-masa-anubhavam/ . thiruvAimozhi 2.1.5 – UzhithORUzhi – http://divyaprabandham.koyil.org/index.php/2015/11/thiruvaimozhi-2-1-5-uzhithoruzhi/ . Full series can be viewed at http://divyaprabandham.koyil.org/index.php/thiruvaimozhi/ . thiruvezhukURRirukkai – Section 9 – http://divyaprabandham.koyil.org/index.php/2015/11/thiruvezhukurrirukkai-telugu-9/ based on http://divyaprabandham.koyil.org/index.php/2015/07/thiruvezhukurrirukkai-9/ – telugu translation by chUdAmaNi ammangar, published by shashidhar swamy. Full series at http://divyaprabandham.koyil.org/index.php/2015/10/thiruvezhukurrirukkai-telugu/ . thiruvAimozhi 2.1.4 – kadalum malaiyum – http://divyaprabandham.koyil.org/index.php/2015/11/thiruvaimozhi-2-1-4-kadalum-malaiyum/ . Full series can be viewed at http://divyaprabandham.koyil.org/index.php/thiruvaimozhi/ . thiruvezhukURRirukkai – Section 8 – http://divyaprabandham.koyil.org/index.php/2015/11/thiruvezhukurrirukkai-telugu-8/ based on http://divyaprabandham.koyil.org/index.php/2015/07/thiruvezhukurrirukkai-8/ – telugu translation by chUdAmaNi ammangar, published by shashidhar swamy. Full series at http://divyaprabandham.koyil.org/index.php/2015/10/thiruvezhukurrirukkai-telugu/ . – new article by bhagavathi ammangar based on http://ponnadi.blogspot.in/2013/11/aippasi-anubhavam-mamunigal.html . Full series can be seen at https://srivaishnavagranthamshindi.wordpress.com/thula-masa-anubhavam/ . thiruvAimozhi 2.1.3 – kAmuRRa – http://divyaprabandham.koyil.org/index.php/2015/11/thiruvaimozhi-2-1-3-kamurra/ . Full series can be viewed at http://divyaprabandham.koyil.org/index.php/thiruvaimozhi/ . thiruvezhukURRirukkai – Section 7 – http://divyaprabandham.koyil.org/index.php/2015/11/thiruvezhukurrirukkai-telugu-7/ based on http://divyaprabandham.koyil.org/index.php/2015/07/thiruvezhukurrirukkai-7/ – telugu translation by chUdAmaNi ammangar, published by shashidhar swamy. Full series at http://divyaprabandham.koyil.org/index.php/2015/10/thiruvezhukurrirukkai-telugu/ . This entry was posted in Uncategorized on November 14, 2015 by Sarathy Thothathri. thiruvAimozhi 2.1.2 – kOtpatta sinthaiyaiyAy – http://divyaprabandham.koyil.org/index.php/2015/11/thiruvaimozhi-2-1-2-kotpatta-sinthaiyaiyay/ . Full series can be viewed at http://divyaprabandham.koyil.org/index.php/thiruvaimozhi/ . thiruvezhukURRirukkai – Section 6 – http://divyaprabandham.koyil.org/index.php/2015/11/thiruvezhukurrirukkai-telugu-6/ based on http://divyaprabandham.koyil.org/index.php/2015/07/thiruvezhukurrirukkai-6/ – telugu translation by chUdAmaNi ammangar, published by shashidhar swamy. Full series at http://divyaprabandham.koyil.org/index.php/2015/10/thiruvezhukurrirukkai-telugu/ . thiruvAimozhi 2.1.1 – vAyum thirai – http://divyaprabandham.koyil.org/index.php/2015/11/thiruvaimozhi-2-1-1-vayum-thirai/ . Full series can be viewed at http://divyaprabandham.koyil.org/index.php/thiruvaimozhi/ . thiruvezhukURRirukkai – Section 5 – http://divyaprabandham.koyil.org/index.php/2015/11/thiruvezhukurrirukkai-telugu-5/ based on http://divyaprabandham.koyil.org/index.php/2015/07/thiruvezhukurrirukkai-5/ – telugu translation by chUdAmaNi ammangar, published by shashidhar swamy. Full series at http://divyaprabandham.koyil.org/index.php/2015/10/thiruvezhukurrirukkai-telugu/ . rAmAnusa nURRanthAdhi pAsuram 16 – http://divyaprabandham.koyil.org/index.php/2015/11/ramanusa-nurranthadhi-16/ – English translation by raghurAm swamy. Full series can be viewed at http://divyaprabandham.koyil.org/index.php/2015/07/ramanusa-nurranthadhi/ . thiruvAimozhi 2.1 translation commences at http://divyaprabandham.koyil.org/index.php/2015/11/thiruvaimozhi-2-1-vayum/ . Full series can be viewed at http://divyaprabandham.koyil.org/?page_id=23 . thiruvezhukURRirukkai – Section 4 – http://divyaprabandham.koyil.org/index.php/2015/11/thiruvezhukurrirukkai-telugu-4/ based on http://divyaprabandham.koyil.org/index.php/2015/07/thiruvezhukurrirukkai-4/ – telugu translation by chUdAmaNi ammangar, published by shashidhar swamy. Full series at http://divyaprabandham.koyil.org/index.php/2015/10/thiruvezhukurrirukkai-telugu/ . thiruvAimozhi 2nd centum translation commences at http://divyaprabandham.koyil.org/index.php/2015/11/thiruvaimozhi-2nd-centum/ . thiruvezhukURRirukkai – Section 3 – http://divyaprabandham.koyil.org/index.php/2015/11/thiruvezhukurrirukkai-telugu-3/ based on http://divyaprabandham.koyil.org/index.php/2015/06/thiruvezhukurrirukkai-3/ – telugu translation by chUdAmaNi ammangar, published by shashidhar swamy. Full series at http://divyaprabandham.koyil.org/index.php/2015/10/thiruvezhukurrirukkai-telugu/ . thulA mAsa anubhavam – piLLai lOkAchAryar – thathva thraya anubhavam – https://srivaishnavagranthamshindi.wordpress.com/2015/11/09/thula-anubhavam-pillai-lokacharyar-tattva-trayam/ – new article by bhagavathi ammangar based on http://ponnadi.blogspot.in/2013/10/aippasi-anubhavam-pillai-lokacharyar-tattva-trayam.html . Full series can be seen at https://srivaishnavagranthamshindi.wordpress.com/thula-masa-anubhavam/ . rAmAnusa nURRanthAdhi pAsuram 15 – http://divyaprabandham.koyil.org/index.php/2015/11/ramanusa-nurranthadhi-15/ – English translation by raghurAm swamy. Full series can be viewed at http://divyaprabandham.koyil.org/index.php/2015/07/ramanusa-nurranthadhi/ . thiruvezhukURRirukkai – Section 2 – http://divyaprabandham.koyil.org/index.php/2015/11/thiruvezhukurrirukkai-telugu-2/ based on http://divyaprabandham.koyil.org/index.php/2015/06/thiruvezhukurrirukkai-2/ – telugu translation by chUdAmaNi ammangar, published by shashidhar swamy. Full series at http://divyaprabandham.koyil.org/index.php/2015/10/thiruvezhukurrirukkai-telugu/ . thiruvAimozhi 2.1 audio recording uploaded at http://divyaprabandham.koyil.org/index.php/2015/11/thiruvaimozhi-2-1-audio/ . 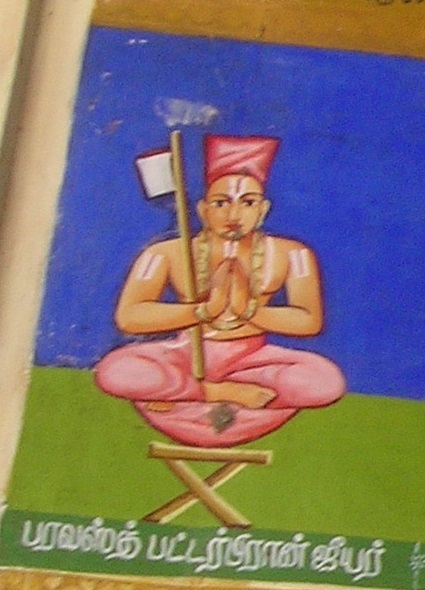 rAmAnusa nURRanthAdhi pAsuram 14 – http://divyaprabandham.koyil.org/index.php/2015/11/ramanusa-nurranthadhi-14/ – English translation by raghurAm swamy. Full series can be viewed at http://divyaprabandham.koyil.org/index.php/2015/07/ramanusa-nurranthadhi/ . thiruvezhukURRirukkai – Section 1 – http://divyaprabandham.koyil.org/index.php/2015/11/thiruvezhukurrirukkai-telugu-1/ based on http://divyaprabandham.koyil.org/index.php/2015/06/thiruvezhikurrirukkai-1/ – telugu translation by chUdAmaNi ammangar. Full series at http://divyaprabandham.koyil.org/index.php/2015/10/thiruvezhukurrirukkai-telugu/ . thiruppallANdu audio recording uploaded at http://divyaprabandham.koyil.org/index.php/2015/11/thiruppallandu-audio/ . guru paramaparai – thirukkOshtiyUr nambi – life and glories in thamizh – https://guruparamparaitamil.wordpress.com/2015/11/07/thirukkoshtiyur-nambi/ – new article by renga rAmAnujam swamy based on https://guruparamparai.wordpress.com/2013/02/27/thirukkoshtiyur-nambi/ . Please visit https://guruparamparaitamil.wordpress.com/2015/03/14/introduction-2/ to see the full list. thiruppallANdu pAsuram 12 – pallANdu enRu – http://divyaprabandham.koyil.org/index.php/2015/11/thiruppallandu-12-pallandu-enru/ . Full series at http://divyaprabandham.koyil.org/index.php/2015/06/thiruppallandu/ . With this, English translation of thiruppallANdu vyAkyAnam is completed. thiruvezhukURRirukkai – avathArikai (introduction) – http://divyaprabandham.koyil.org/index.php/2015/11/thiruvezhukurrirukkai-telugu-introduction/ based on http://divyaprabandham.koyil.org/index.php/2015/05/thiruvezhukurrirukkai-introduction/ – telugu translation by shashidhar swamy. Full series at http://divyaprabandham.koyil.org/index.php/2015/10/thiruvezhukurrirukkai-telugu/ . This entry was posted in Uncategorized on November 7, 2015 by Sarathy Thothathri. 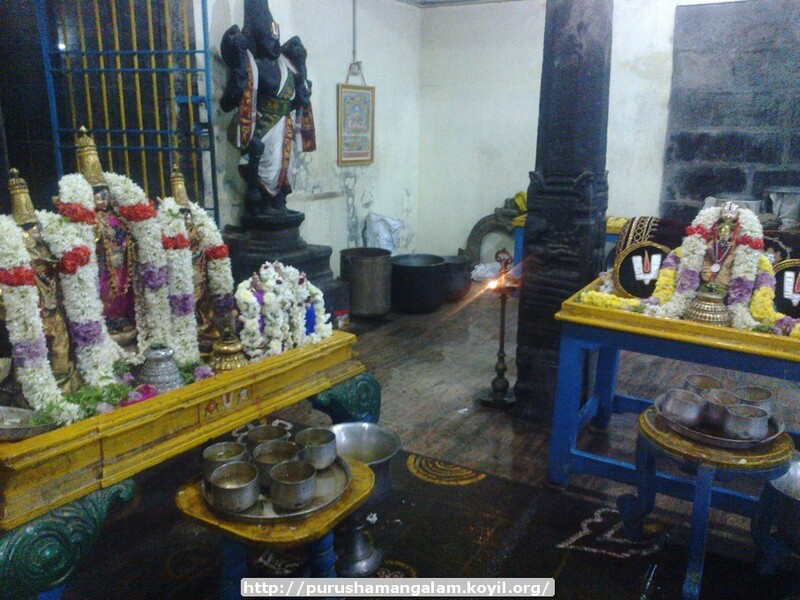 dhivya prabandham – thiruppallANdu pAsuram 11 – al vazhakku – http://divyaprabandham.koyil.org/index.php/2015/11/thiruppallandu-11-al-vazhakku/ . Full series at http://divyaprabandham.koyil.org/index.php/2015/06/thiruppallandu/ . dhivya prabandham – thiruppallANdu pAsuram 10 – ennAL emperumAn – http://divyaprabandham.koyil.org/index.php/2015/11/thiruppallandu-10-ennal-emperuman/ . Full series at http://divyaprabandham.koyil.org/index.php/2015/06/thiruppallandu/ . bhagavath gIthA – hindi/English translation of gIthA bhAshyam added in http://githa.koyil.org/index.php/e-books/ . Thanks to sudharsan bagrOdia swamy for sharing this kindly. 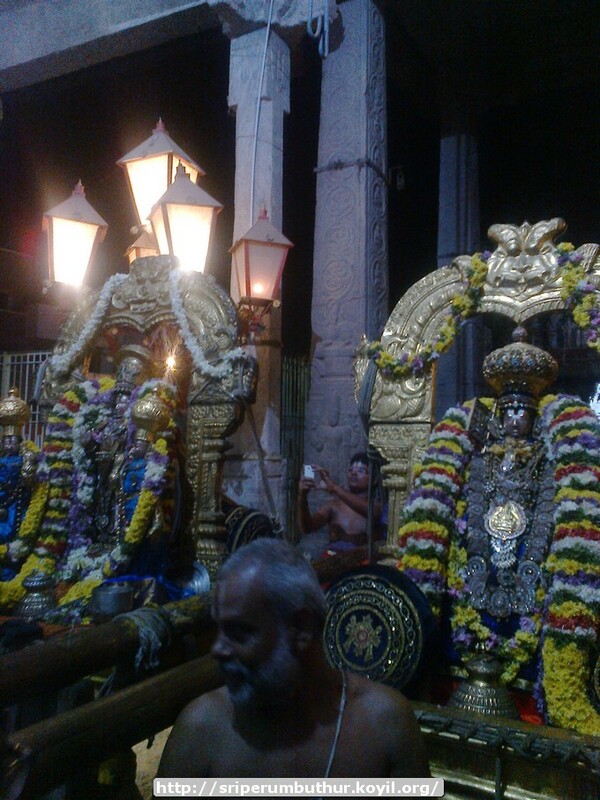 dhivya prabandham – thiruppallANdu pAsuram 9 – uduththuk kaLaintha – http://divyaprabandham.koyil.org/index.php/2015/11/thiruppallandu-9-uduththuk-kalaintha/ . Full series at http://divyaprabandham.koyil.org/index.php/2015/06/thiruppallandu/ . thiruppallANdu pAsuram 8 – neyyidai nallathOr – http://divyaprabandham.koyil.org/index.php/2015/11/thiruppallandu-8-neyyidai-nallathor/ . Full series at http://divyaprabandham.koyil.org/index.php/2015/06/thiruppallandu/ . thiruvAimozhi 1st centum – English – e-book link available at http://divyaprabandham.koyil.org/index.php/2015/03/thiruvaimozhi-1st-centum/ and http://divyaprabandham.koyil.org/index.php/e-books/ . Full series can be viewed at http://divyaprabandham.koyil.org/?page_id=23 . thulA mAsa anubhavam – piLLai lOkAchAryar – mumukshuppadi anubhavam – https://srivaishnavagranthamshindi.wordpress.com/2015/11/02/aippasi-anubhavam-pillai-lokacharyar-mumukshuppadi/ – new article by bhagavathi ammangar based on http://ponnadi.blogspot.in/2013/10/aippasi-anubhavam-pillai-lokacharyar-mumukshuppadi.html . Full series can be seen at https://srivaishnavagranthamshindi.wordpress.com/thula-masa-anubhavam/. dhivya prabandham – thiruppallANdu pAsuram 7 – thIyil poliginRa – http://divyaprabandham.koyil.org/index.php/2015/11/thiruppallandu-7-thiyil-poliginra/ . Full series at http://divyaprabandham.koyil.org/index.php/2015/06/thiruppallandu/ . rAmAnusa nURRanthAdhi pAsuram 13 – http://divyaprabandham.koyil.org/index.php/2015/11/ramanusa-nurranthadhi-13/ – English translation by raghurAm swamy. Full series can be viewed at http://divyaprabandham.koyil.org/index.php/2015/07/ramanusa-nurranthadhi/ . thiruvAimozhi 1.10 – English – e-book link available at http://divyaprabandham.koyil.org/index.php/2015/03/thiruvaimozhi-1st-centum/ and http://divyaprabandham.koyil.org/index.php/e-books/ . Thanks to parAsaran (pradeep) swamy for preparing the e-book. Full series can be viewed at http://divyaprabandham.koyil.org/?page_id=23 . 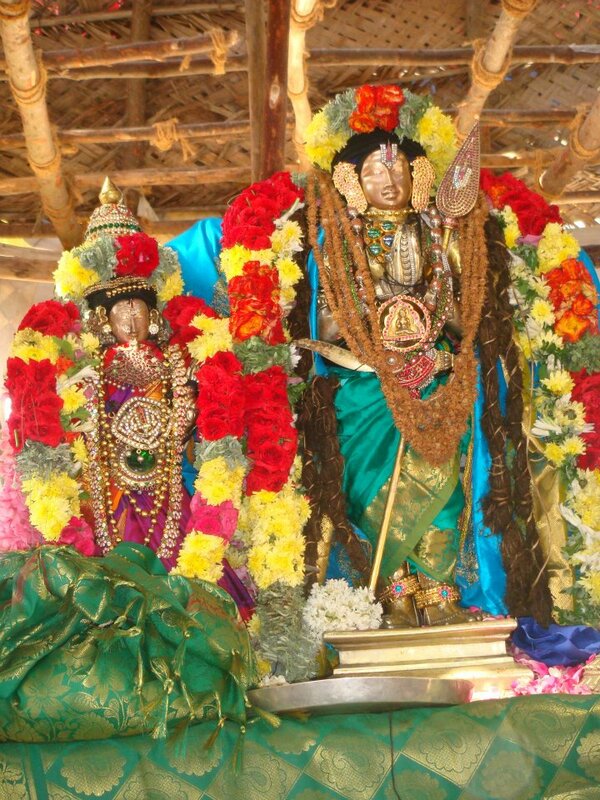 yathirAja vimsathi (thamizh translation) – All slOkams uploaded by T S lakshmi narasimhan swamy – http://divyaprabandham.koyil.org/index.php/2015/10/yathiraja-vimsathi-tamil/ .